Are you a freelancer earning money in India by writing blogs or by doing search engine optimization(SEO) or by data entry work? If the answer is yes, you are liable to pay income tax and service tax in India provided you are exempted to pay taxes under various acts under income tax and service tax sections. 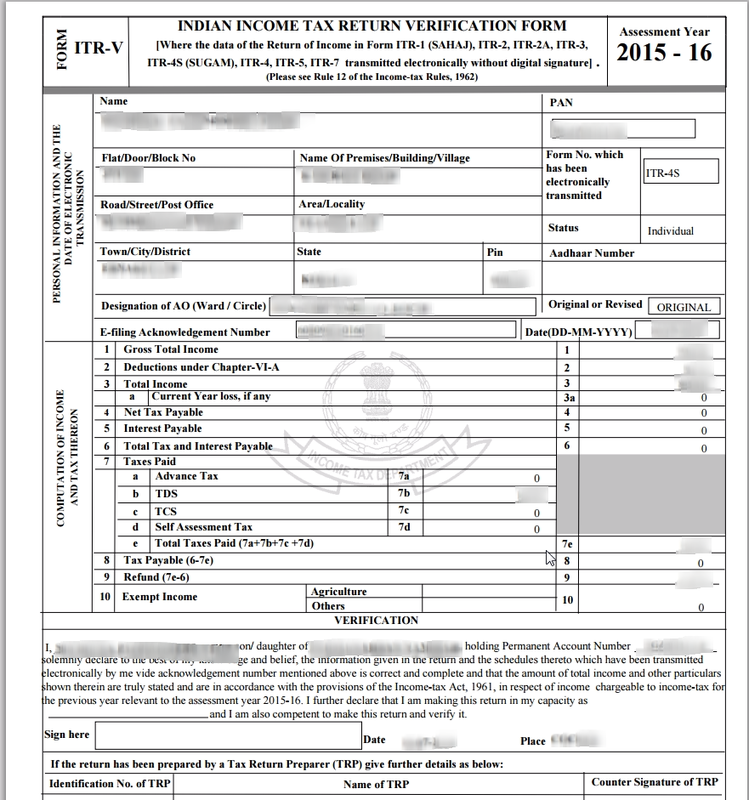 Since you are not earning salary, the income earned from the freelancing should be filed under "Profits or Gains of Business or Profession" and you can use either ITR-4 or ITR-4S for filing tax returns. Interesting part is, you do not need to show the whole money you earned via freelancing as income, the income is the revenue earned minus the annual expenses minus annual depreciation of the assets you used for freelancing, for example, laptop, printer, modem etc. You can consider electricity charges, rental, phone charges, internet charges etc. as annual expenses and those can be deducted from the income. You can start filing your tax return once you are done with the income calculation for that financial year. 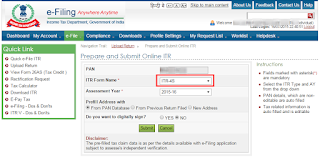 If you do not have an account with Income Tax India, first create one by clicking incometaxindiaefiling.gov.in then, login with your user id and password. 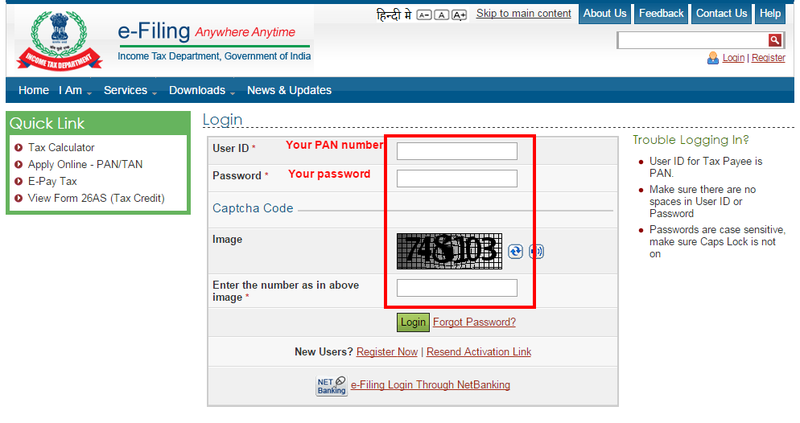 Do not forget, your user id is your PAN number. 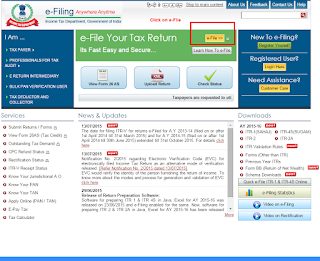 Once logged in, click on the e-File link. 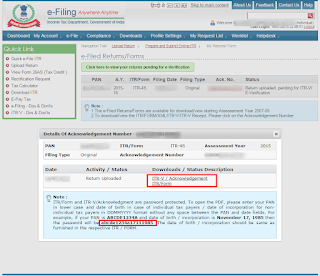 Now you can select the ITR form, in our case ITR-4S and the assessment year. Address, you can choose to get from PAN database. 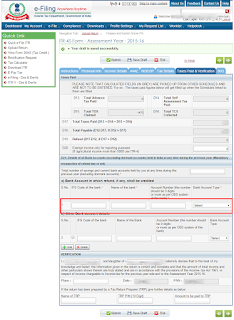 If the current address is different from that of with PAN database, choose "New Address". If you already have a digital signature choose "YES" for "Do you want to digitally sign?". If you are not sure what digital signature is, don't worry, simply select "NO". Now proceed to next page. 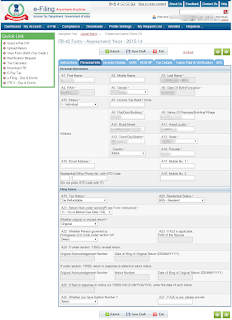 Next page is for personal details, fill all mandatory fields carefully and proceed to next step. 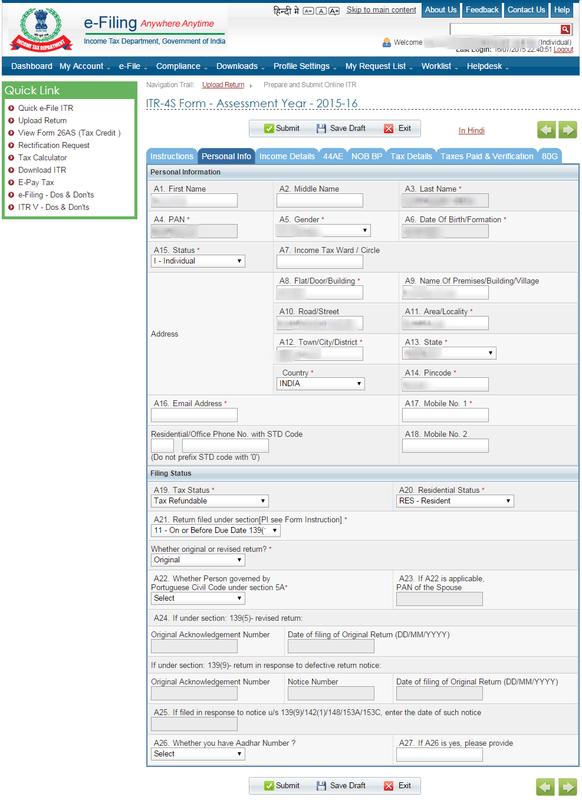 This is where you provide your freelancing business details. You need to provide the nature of the business you are doing, the revenue and income along with other financial particulars of the business. For "Nature of Business", you select "709 - IT. enabled services, BPO service providers". 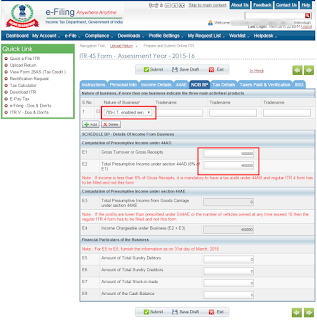 Now under "Details of Income from Business" section, provide E1(Gross Turnover) and E2(Total Income). 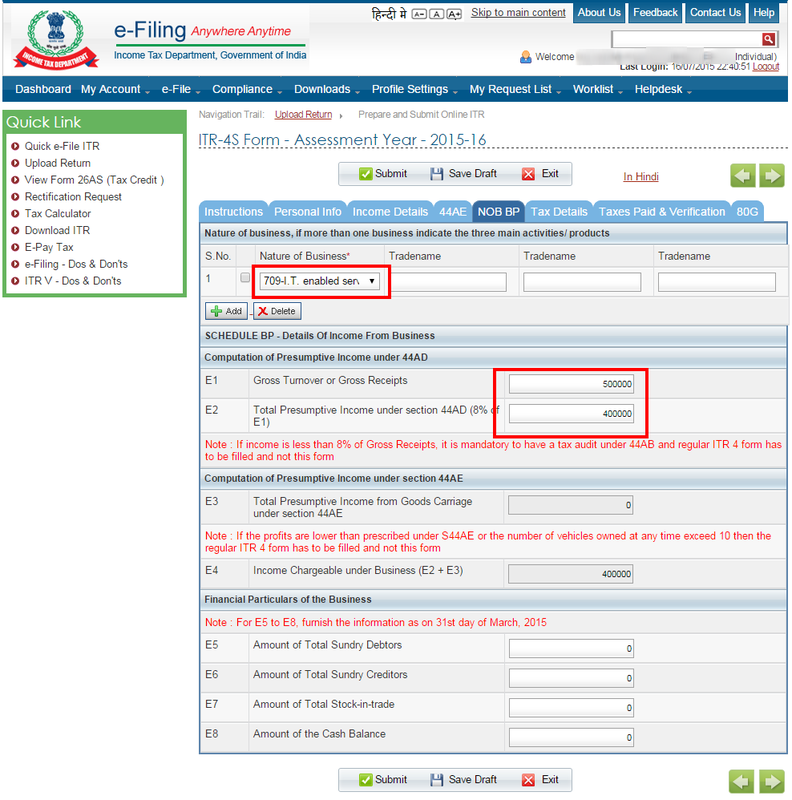 The form will automatically calculate E4(Income chargeable under Business). Fill "Financial Particulars of the Business" and proceed to next page. This section automatically populates all tax deduction details(TDS), if there are any. 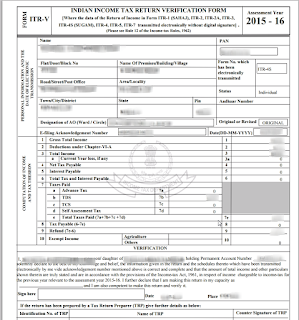 Fill the appropriate section if you have any tax paid in the applicable financial year. This includes the tax deducted by bank towards interest against fixed deposits(it is mandatory to deduct tax for interest over Rs. 10,000). Save the form and proceed to next step. This page shows the summary of the income and exemption details along with the tax paid and payable details. 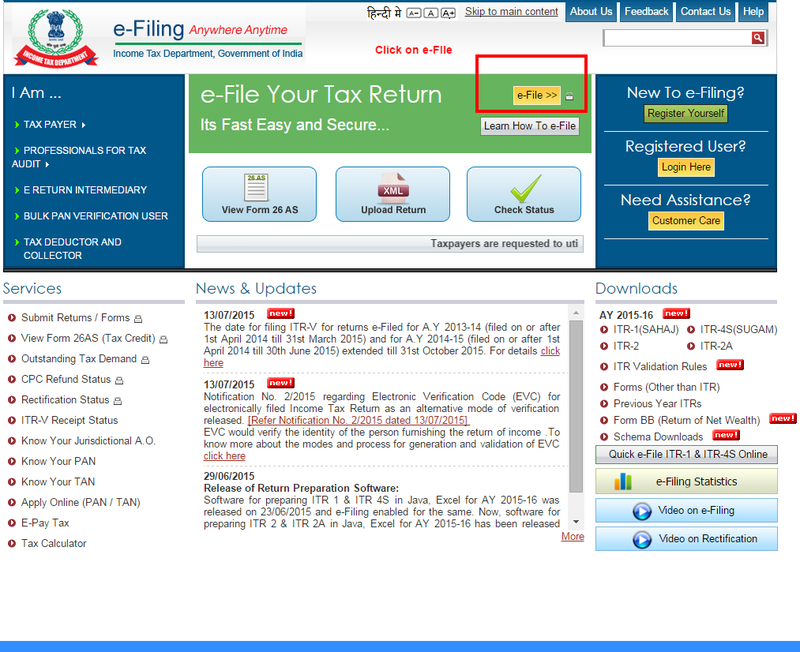 If you have paid excess tax, the refund amount also is given at section D19. 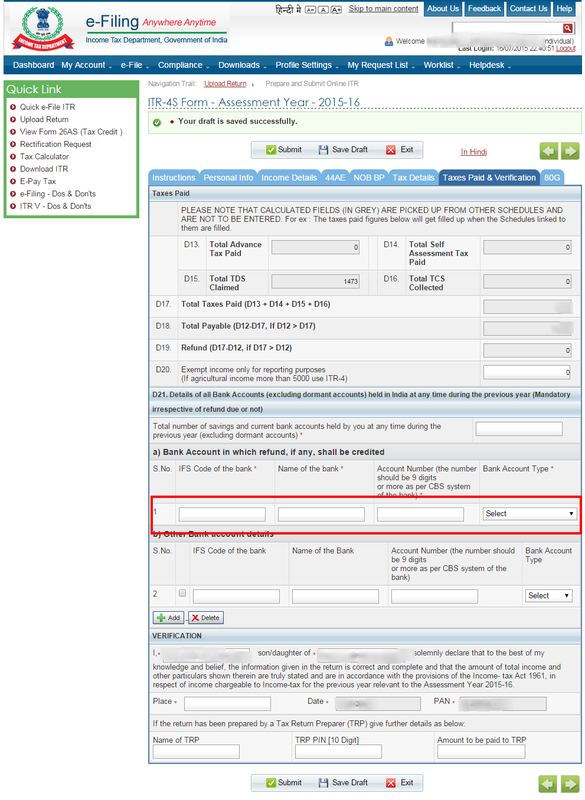 In D21 provide your bank account details so that the refund if any will be wired to this account automatically. 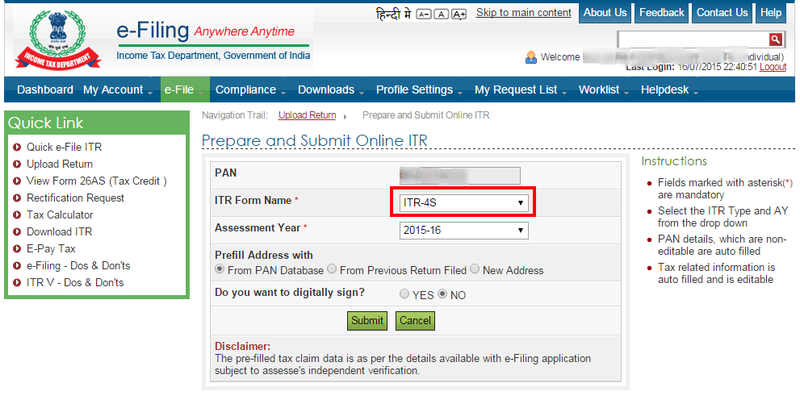 Verify the details once again and if you are sure all the information provided is correct, click on "Submit" which will upload the form to Income Tax Department for verification. 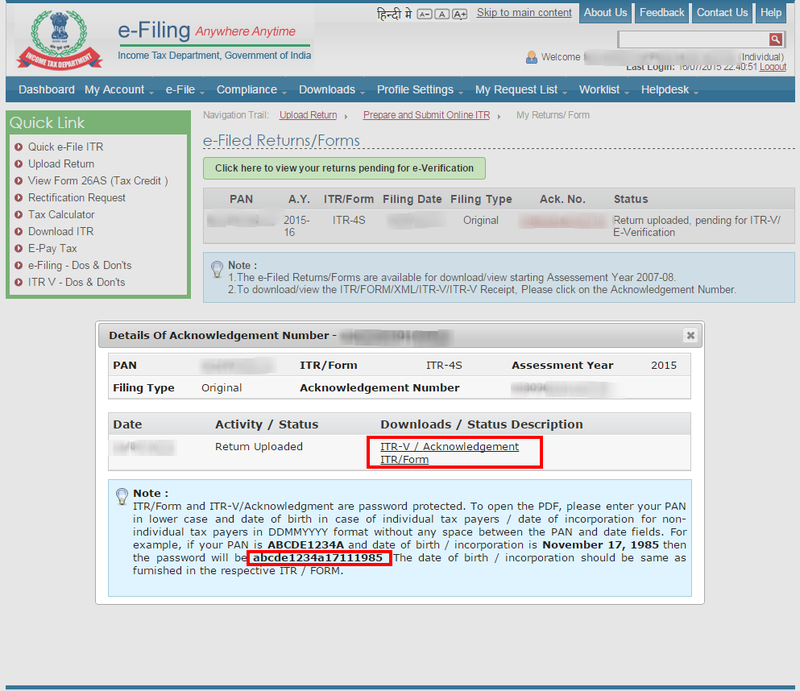 You can download the ITR-V by going to "My Account" -> e-Files Returns/Forms. Click the acknowledge number to get the acknowledgement download link. Now download the form, and open it, provide the password which is lower case PAN number + your date of birth in numerical format, say abcde31121970. All data and information provided on this site is for informational purposes only. The material contained on this site and on the associated web pages is not intended to be advice on any particular matter. Subscribers and readers should seek appropriate professional advice before acting on the basis of any information contained in this site. No Advice or information, whether oral or written obtained by you from Texient.com or through the service shall create any warranty/liability against Texient.com. The authors, employees and owners of this site expressly disclaim any and all liability to any person, whether a subscriber or not, in respect of anything and of the consequences of anything done or omitted to be done by any such person in reliance upon the contents of this site and associated web pages. I'm doing my taxes right this moment and this post is saving me right now. Thank you! Very useful and informative, thank you. Really nice post thanks for guidance!!! !